The 3rd Annual Wild & Scenic Film Festival will be shown at the Ferry County Fairgrounds Carousel Building, Friday, March 18, from 6:30 to 9:30 PM. Door opens at 5:30 PM. 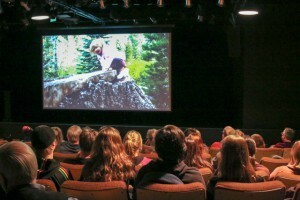 Over a dozen short films will be shown and will be suitable for all ages. Tickets are $8 advance, $10 a the door. Student tickets are $4. Purchase tickets at Ferry County Coop or by sending a check to KRCG, PO Box 150, Republic, WA 99166.